This is one area of web development that cannot be overlooked and whose importance cannot be overstated. Unless your website has SEO, it will not rank highly in search engine results, not matter how proficient you may be at operating your business, selling a product, or providing a service. 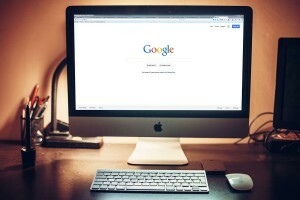 So how exactly to do you get your website to appear at the top of search engine results pages? You do this through search engine optimization (or SEO). Achieving ideal SEO is a complex and multifaceted endeavor. There are many factors involved in how a search engine evaluates a website for inclusion in the search engine results and how to rank those results. Not to mention the evolving nature of how these search engines quantify these factors. This is where an experienced SEO professional can prove to be invaluable. We closely follow the current standards and practices that are required to get your website ranked as high as possible on the search engine results pages. First we identity relevant search keywords, then we focus our efforts on those keywords in all the SEO that we do for your website. Understanding and analyzing your current state of optimization is key to forging a path forward to improved search engine rank. Following analysis, measuring the current site metrics provides valuable insight in the areas of strength and weakness in SEO Strategy. Compiling search engine metrics into legible data will allow stakeholders to understand and make decisions for improvements. Once decisions are made and strategies are set, the plans for optimization can be implemented down to the smallest detail. Content is king in the realm of SEO. Having relevant, high quality content, and plenty of it is the key to all successful implementations. Fast page loads, seamless user interface transfers and highly optimized resources has become increasingly important in ideal SEO.